Click these puppets to see and hear them talk. Hire Ellen Lustig, Chicago, Illinois to create a Custom Puppet. 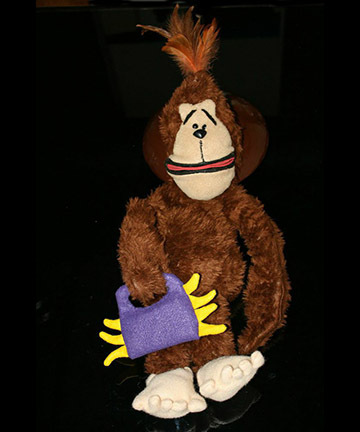 These Custom Puppets are Look Alike Caricature Hand Puppets. Puppets from a photo can be custom made from a photo of you, your favorite person, or a celebrity or character. I now create puppets with moving mouths. My most recent commissions have been custom doll heads from photos which are sculpted and adhered to a dolls body accessorized to suit the subject. 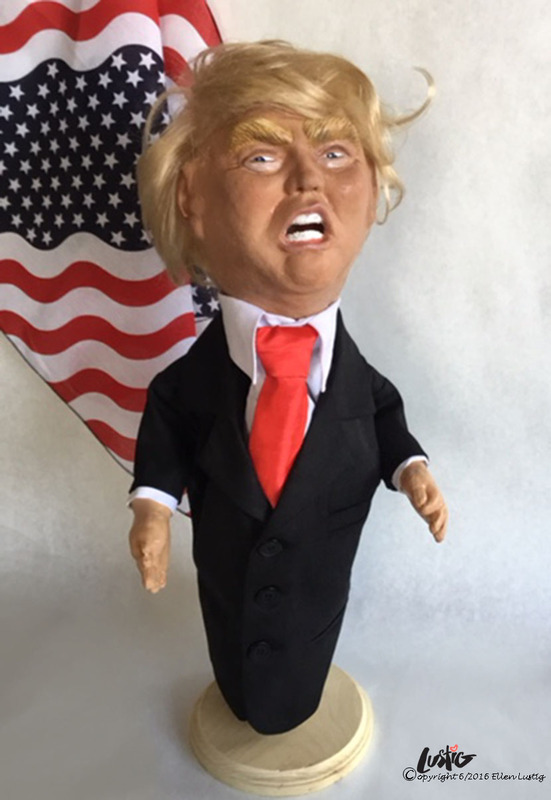 You can Order Puppets for the most unique, humorous, and personalized gift. The ultimate gift for the person who has everything. 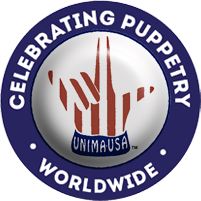 Go to the Puppet Store to buy a Puppeture puppet today! Caricature Puppets for Children brings out their imagination. 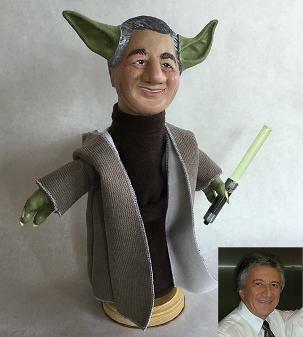 Caricature Puppets for Adults are a fanciful form of fun and flattery, a unique three dimensional sculptural caricature that will be treasured for years. Watch this Making Puppets Video by clicking the triangle. 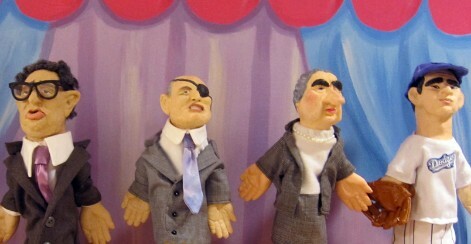 You can buy Puppeture caricature puppets by clicking on the "Puppeture Puppet Store". 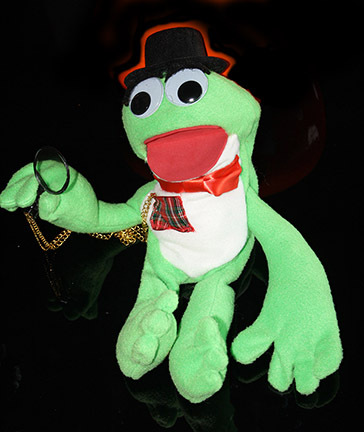 You will find celebrity puppets for sale as well as samples of commissioned personalized puppets. Simply email photos to ellen@artips.com to start the process...She will then send you a preliminary sketch of what your hand puppet will look like. After the sketch is approved, Ellen will create a puppet with a latex head and latex hands and a cloth body measuring about 12" high.